Choose your favorite city and custom inscription. We provide free shipping anywhere in the U.S. and complimentary priority shipping on orders over $70. Drag the map to pan and pinch/scroll to zoom. 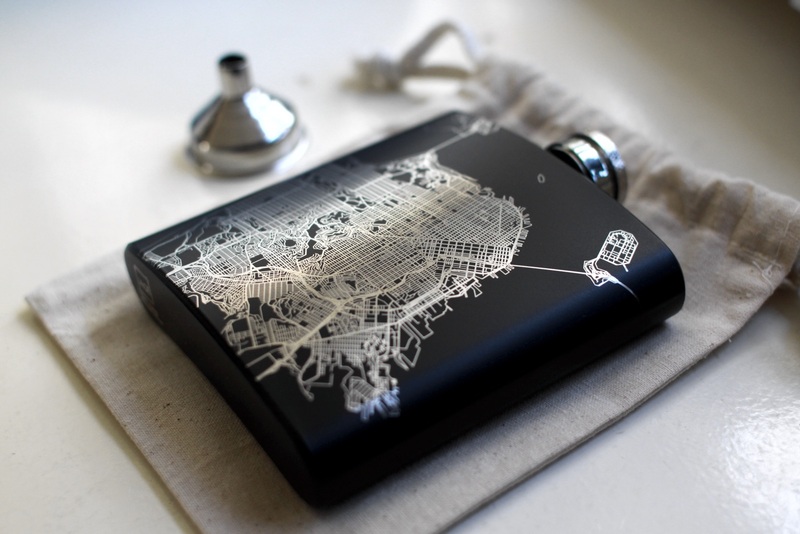 Is there anything more useful for a night out than having your city mapped out right on your custom hip flask? We didn’t think so. 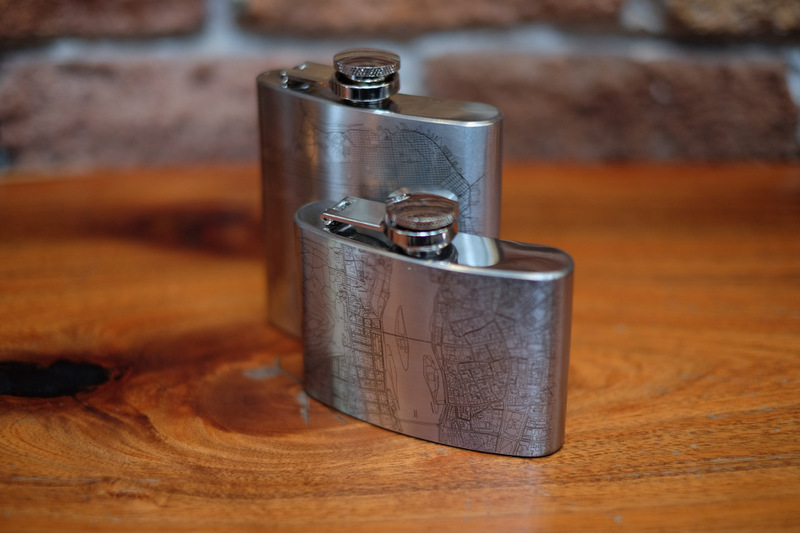 Choose your favorite city and further customize the design of your engraved hip flask by panning and zooming the previewed image. Add an inscription on the back and we will laser etch your design on the highest quality, stainless steel custom engraved flask. 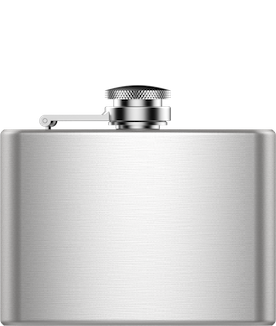 Every 6 oz hip flask comes with a draw-string pouch and convenient stainless steel funnel. Top it off with your beverage of choice and it's ready to go. Every custom hip flask is expertly engraved at our workshop in San Francisco. We provide free shipping anywhere in the U.S. and complimentary priority shipping on orders over $70. Powered by Mapbox and OpenMapTiles. Data ©OSM contributors. 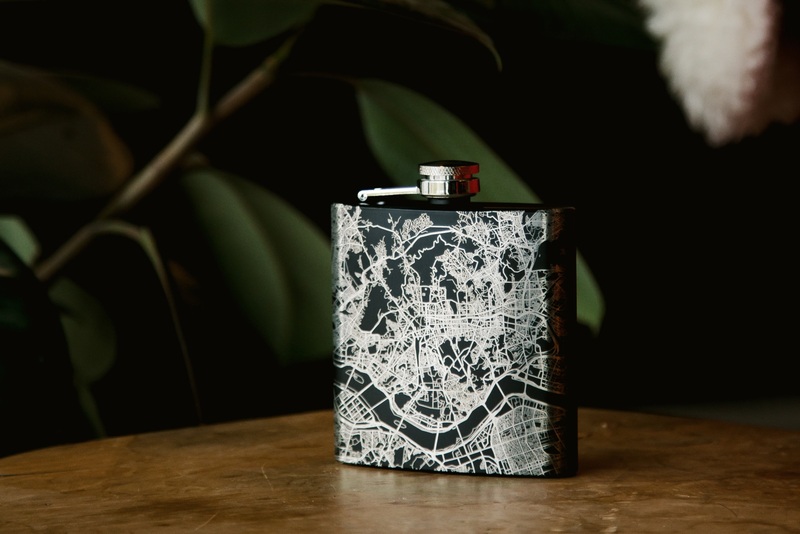 A quality flask for a quality night out in your city. 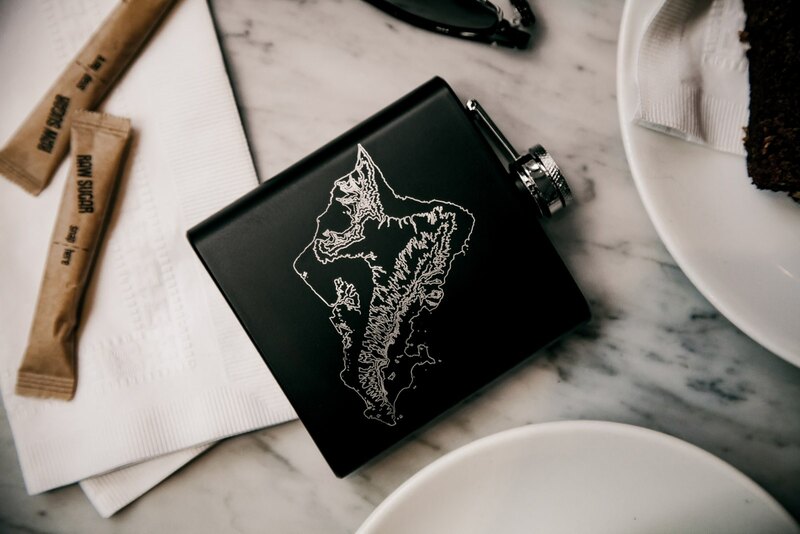 Customize a flask with your favorite destination, and it will be laser etched on the highest quality, premium flask available on the market. Party on. Size:6 oz flask is 3.8 in (9.7 cm) width, 4.25 in (10.8 cm) height to top of cap, 1.2 in (3 cm) depth. 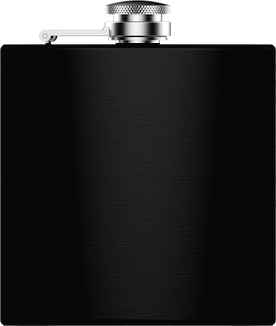 4 oz flask is 3.8 in (9.7 cm) width, 3.2 in (8.1 cm) height to top of cap, 1.2 in (3 cm) depth. Laser Engraving Process: We use a state-of-the-art MOPA fiber laser to etch each stainless product in our workshop here in San Francisco. The laser is finely tuned to mark the map one small section at a time, requiring between 10-20 minutes to complete the whole map. Packaging: Every flask comes with a soft cotton muslin draw-string pouch and a convenient, appropriately sized, and classy stainless steel funnel. Top it off with your beverage of choice and off you go. Care Instructions: This is not your average flask. It's a durable but finely crafted work of art. Take care of it by washing in warm soapy water. The engraving will evolve over time, darkening from grey to nearly black. 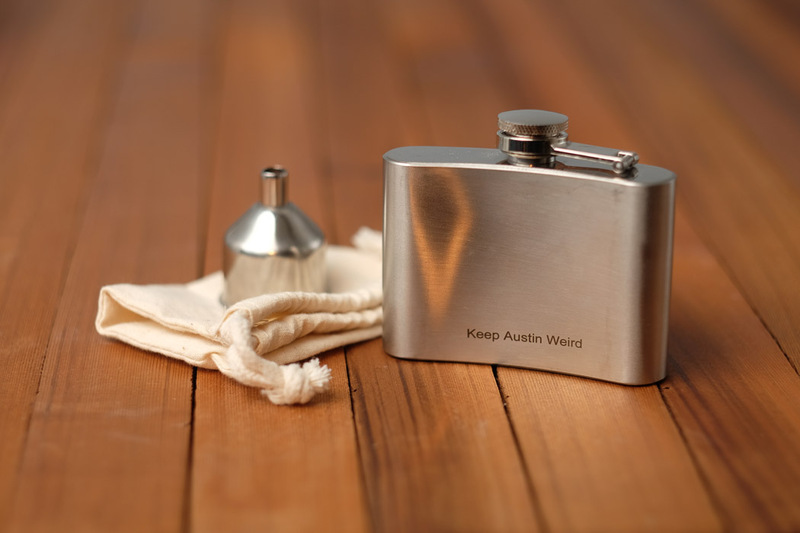 With proper care, you'll be sipping your favorite beverage from this flask for years to come. Add to cart to save your work and review it anytime before checkout.